A sweet grape soda flavoring that bursts it amazing rich taste of grape in your carbonated drink recipes. Type: Grape Soda Water Soluble Flavoring. Ingredients: Natural and artificial flavoring, propylene glycol and alcohol. USP Kosher Grade Flavoring. Usage Rate: 15-20% for E-use. Flavor Suitability: Drinks and beverages, smoothie, desserts, pastries, baked treats and more. Specific Gravity: 1.04 No Refunds on Flavoring. I'm new to making my own e-juice but I love grape flavored stuff. When I first started vapping I tried a lot of flavors. Anyway I got stuck on the grape juice and as time passed I went to my favorite vape shop one day and they told me about this grape soda flavor. I got hooked so bad on this flavor I was going thru 15 ml bottle like every 2 days. 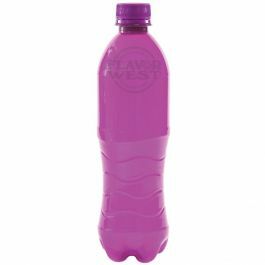 That was getting expensive so that's when I found flavor west's web site and the grape soda e-juice. Every time I hit my mod it reminds me of having a grape crush soda all day long. I vape a little different then most people. I mix 80/20, 80% vg/ 20% H2O / 15% flavor / 0% pg / 0 % nic in a 30 ml bottle and it comes out perfect every time. Everybody's taste bud's are different and I vape for flavor only. I'm going to order more flavors and hope that they are as good as the grape soda.